Nearly 1000 people were made aware of early diagnosis. 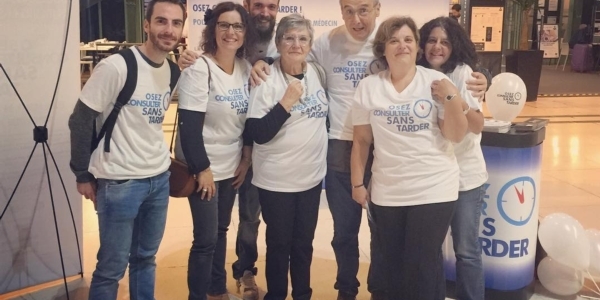 A great day for the three associations with the support of the national rheumatologists’ union, SNMR (Syndicat National des Médecins Rhumatologues). The pictures above show, in the first image, the support for the campaign by AFLAR, the French EULAR member organisation, and in the second image, the team from the French national rheumatoid arthritis association, Association National de Défense contre l'Arthrite Rhumatoide. Read the press release in the French language of L’Inserm/Aviesan, la Société Française de Rhumatologie (INSERM) here.